Black Label Society Beard Oil & Balm Combo - Mad Viking Beard Co.
A special collaboration between Black Label Society and Mad Viking Beard Company to commemorate the 20 Year anniversary of Black Label Society’s debut release “Sonic Brew!” This custom Beard Oil and Balm contains everything you need to maintain a state of metal-ness, and it comes to you in a custom tin and bottle! Made with premium ingredients and a unique scent profile created specifically for this release. The Black Label Society Oil & Balm is a must have for all the bearded metal heads! With the Black Label Society Beard Oil & Balm Combo we have created a one of a kind mens grooming products for only the baddest of the Bearded Berserkers! 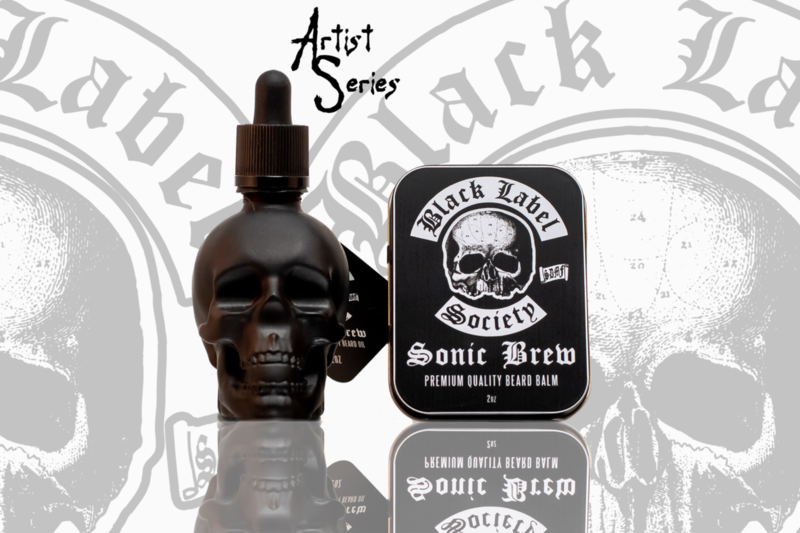 A Special collaboration between Black Label Society and Mad Viking Beard Company to commemorate the 20 Year anniversary of Black Label Society’s debut release, “Sonic Brew.” We proudly present this custom Beard Oil and Balm. This combo pack contains everything you need to maintain a state of metal-ness. All of the products included are made with premium ingredients and have a unique scent profile. We’ve created everything from the packaging to the scent specifically for this release. The Black Label Society combo kit is a must have for all bearded metal heads! The Sonic Brew Premium Quality Combo contains a Premium Quality 2oz Beard Oil in a matte black skull bottle with a 2oz Beard Balm in a custom printed tin! The Beard Oil and Balm has a unique, custom created scent made especially for this launch. It contains a light citrus top note with ginger and redwood mids with a leather base. Need more BLS in your life? Get the Black Label Society Custom Beard Care Kit, containing a comb, custom soap, sticker, and bandana in a custom collcectible box!